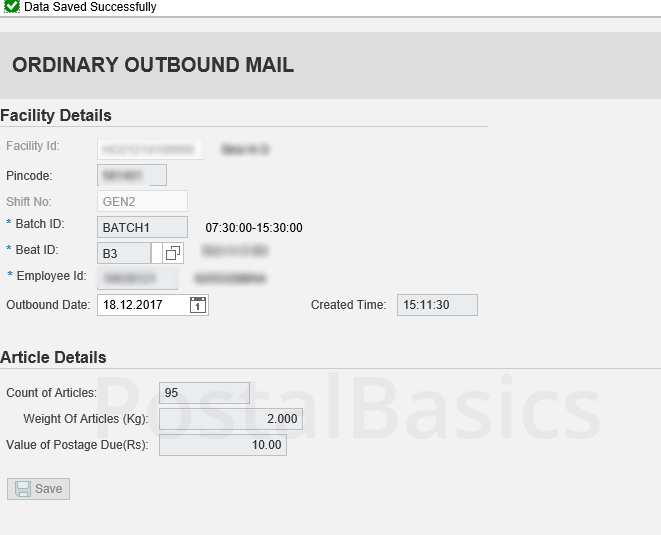 In CSI, we have an option for invoicing ordinary mails along with accounted articles. But it’s optional. If any ordinary articles have due on postage, it can be taken into account under this option. The ordinary articles may be received with due in postage. In this case, the postman has to collect the due amount from the receiver and submit to the treasurer as unpaid article due. How to show unpaid articles? In the DPMS window, we have the option called ORDINARY MAILS. Click on the link Issue to Postman. A window will open. These entries can be filled in this window before the postman goes to beat. After he comes from the beat, take the returns of the ordinary article. Click on the POSTMAN RETURNS link. The below window will appear. Select the Beat ID and click on Display Entries. A box gets displayed. 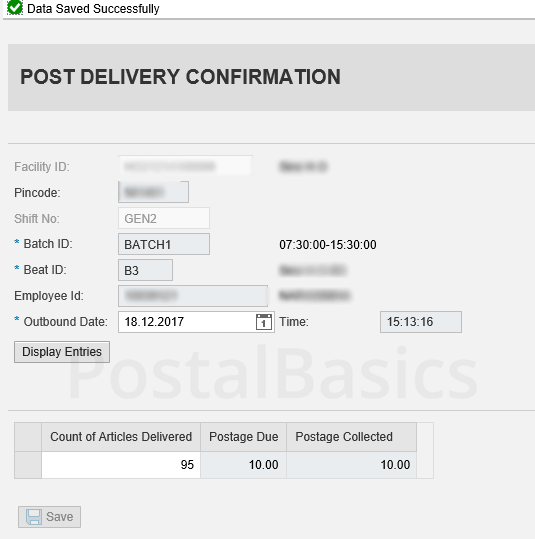 Enter the Count of Articles Delivered column with the number of delivered articles and collected amount on Postage Collected column. Click on SAVE button. This is how you can handle the due articles.